X-One® cannot provide any replacement or warranty in an event of screen breakage or damage. Our screen protector works as a sacrificial protection barrier to your screen, and is not a warranty programme. To ensure warranty claims are for genuine X-One® products, our support team may require a receipt to complete your claim. 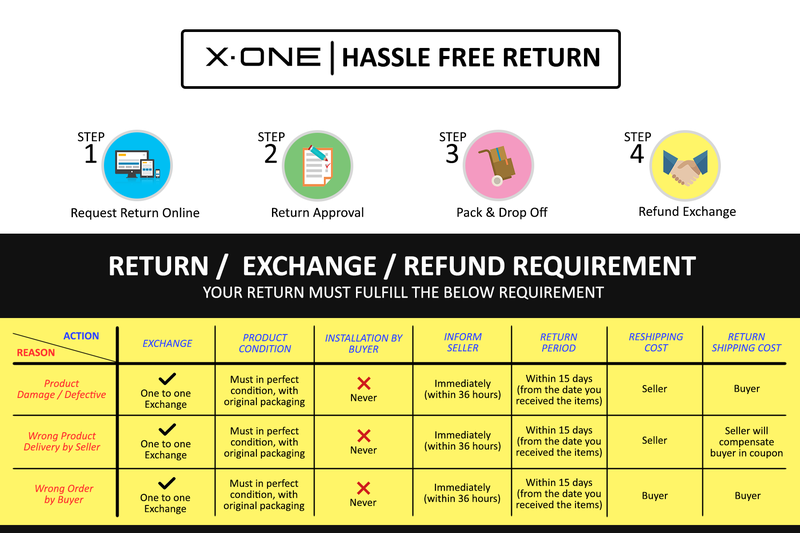 If a receipt or other proof of purchase is not provided, you may be asked to ship the product back to X-One® at your expense for review. X-One® Ultra Cable warranty policy does not cover cosmetic defects. Frays are certainly not covered as long as cable works perfectly. However, in rare cases where fabric came off lose from the neck part very shortly/before purchased, it can be claimed under warranty for reasonable issues. Warranty also does not cover damage caused by operating the Product outside the permitted or intended uses described by X-One® or with improper voltage or power supply. X-One® will repair or replace, at our discretion, any product that proves to be defective in material or workmanship. If your product is no longer available or out of stock, we may replace your product with a product of equal value at our option. X-One® cannot provide any replacement or warranty in an event of screen breakage or damage. Our screen protector works as a sacrificial protection barrier to your screen, and is not a warranty programme. Screen protectors and cases provide a certain level of protection to your mobile devices, and if the impact exceeds the protection limits, chances are your screen may still break. Protection accessories are meant to reduce the chances of breaking, and not as a guarantee that screens will be 100% unbreakable. For damaged or flawed items, you may return it in the same condition you received with the original packaging. X-One® Ultra Cables are charge cables and smartphone accessories, not weight lifting devices, tow ropes, etc. Any videos and photos showing alternate uses are for demonstration purposes only and do not show intended usage that is covered under warranty. 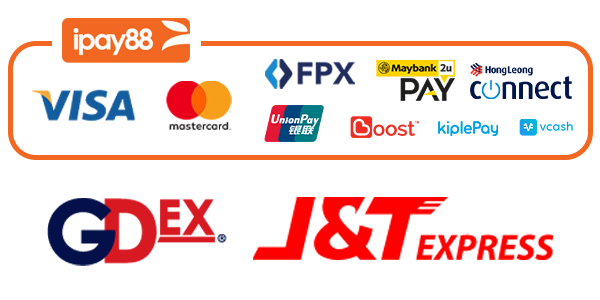 Please contact us by email support@xone.com.my or call 012 6828 176 if you have question or doubts.